Brix Chicks: Pinot Summit! Results are in! Pinot Summit! Results are in! With the 8th Annual Summit behind us, I am already looking forward to next year! Organized beautifully by the Amazing Barbara Drady, this event was not only super fun, but is dedicated to my favorite: Pinot Noir. This year, we got to taste through 40 Pinots that showcased the mutability of this grape variety as well as the artistry of expression of the wine makers. 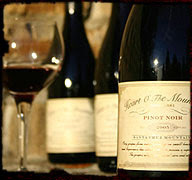 The Pinot I gave the second highest score to was Heart o The Mountain 2007 Santa Cruz Mtns. 100% Pommard clone, the garnet hued wine had in additon to a nice pinot palette, black tea, banana and jasmine in its aromas. Flavors shone with cherry, cedar and something slightly smoky in the midpalate. Lovely almost chocolatey finish. For the third highest, I picked, 2007 Nicholson Ranch Sonoma Coast pinot. I loved the coppery undertones in the medium garnet hues of the wine. Aromas of cedar and cherry. Bright cranberry splash in the flavors. It was fun to also talk to people about their top three colors. I spoke to a lot of people who rated the Tan high, but I had rated it very median. Hmmm. During the reception that preceded the Awards, I ran to the table where Tan was being poured. Was I ever glad I did! My inital notes read "sweet, raspberry soda, no finish" Tasting the 2007 Claibirne and Churchill Edna Valley by itself, I found the wine to be ripe with cherries and red fruit and a nice touch of spice. I revised my opinion just in time to hear the results where this was the Pinot Noir showed up in almost all of the four top 3 lists. I'm a big fan of Pinot Noir - thanks for sharing your tasting notes on these delicious wines! Cheers! It's always so interesting to read about CA pinot noir as we get so little of it here and what does arrive on these shores is so damn expensive! 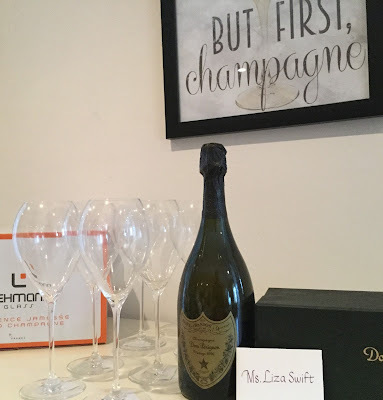 Cheers for the notes! Wow congratulations on the successful event! 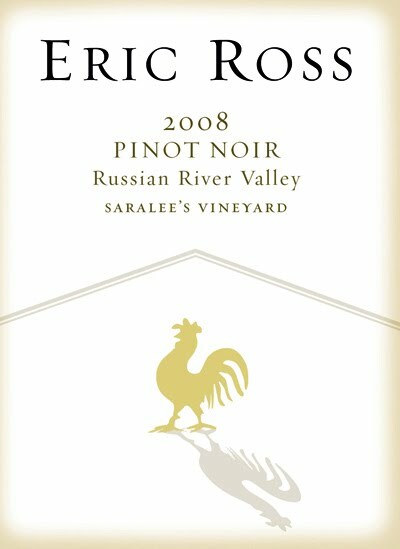 I love the Eric Ross Saralee Vineyard too. mmmmm!